I don't keep a lot of gluten-free mixes in my kitchen. I like making things from scratch and brownies are no exception. However a few weeks ago I found this brownie mix from Hodgson's Mill and it was very reasonably priced (a little over $4.00 I think?) so I thought I'd try it out. The mix called for 1/2 cup of butter, 1 teaspoon of vanilla, 1 egg, and water. To save a few calories, I used 1/2 cup of unsweetened applesauce (instead of butter) and added about 2 tablespoons of coconut oil. I mixed as directed and then decided to put the mix into cupcake liners to make individual servings. 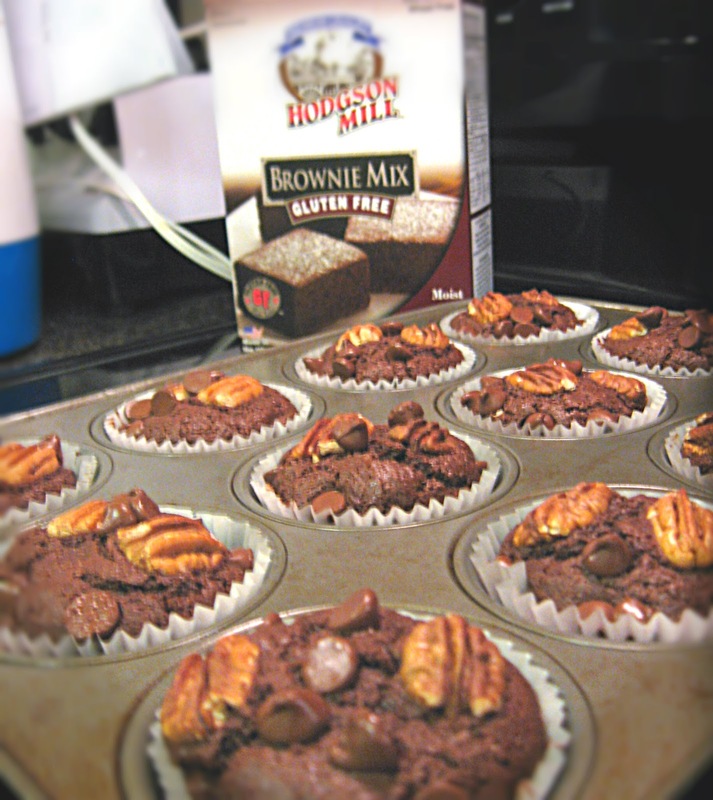 On top of each brownie "cupcake" I added a small sprinkling of chocolate chips and 2 pecan halves. 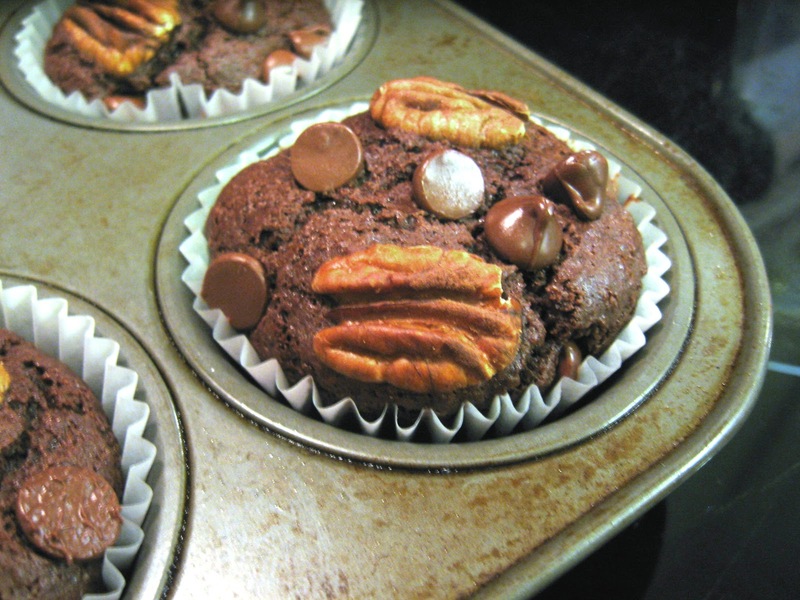 I baked them for about 18 minutes and voila... some really cute & delicious brownie cupcakes! Michael and I really enjoyed these. They were chewy and cakey at the same time. SUPER chocolately and rich... definitely a match for any chocolate craving! This is a gluten-free baking mix I think I definitely plan to keep in the pantry for a quick dessert! In our rural part of the country (southern Wisconsin) the mix is $2.87. You can't beat that - especially when many other mixes are over $5. Have you tried other Hodgson Mills mixes? We're going to give the chocolate cake a go this week. I want to try this so bad. Thanks for all ur great recipes. I need all the help I can get. Where did u find the mix..i can't find it.